The second spate of the killings is still going on unabated for ten days now. The victims are dying, some are crying, but the world is silent. While the military deployed there concentrates in protecting sedentary Mambila populations in towns and villages as directed by the civilian leaders of the place – the Speaker, local government chairman and other local leaders of Mambila extraction – the Mbororo Fulani are left at the mercy of the Mambila militia in the fields beyond the reach of the military. The actual killers freely move from one ranch to another killing people and destroying cattle and homes. Those that are fortunate to escape the horror arrive at protected towns and villages empty-handed, leaving their cows behind for the Mambila tribesmen to cart away. It seems the carnage will only end naturally in a month time from now when the Mambila tribal warlords have achieved the goal of killing and displacing all the Mbororo herders on the plateau. They have so far covered two of its three segments. Only a third remains. It is unfortunate. The incapacity of the political leadership in the country to stand up to the situation is most appalling, to say the least. This is my last assessment of the President and Commander-in-Chief on this matter. I do not think we should bother him again. We must come to terms with his nature. During his last visit to Taraba State, he said, “as the President”, he should not be expected to “come downstairs to abuse and insult” people before they should do the needful. That explains why no army commander, police or intelligence officer is sacked or even queried on Dapchi, Numan, Benue or Mambila. Yeah. Whatever is the gravity of their inaction or failure, they are too small to attract the “abuse or insult” from “upstairs”. Forget that under Buhari. That is the true nature of Mr. President. That is his style of leadership and his way of handling such issues and conflicts. That is his capacity. This has been my assessment of him since 2010 in CPC. We should not demand more from him. The Mambilas and their government sponsors in Jalingo understood him in that speech very well. So they returned to their killings immediately he left Jalingo with renewed energy. The only thing left is for people, especially the elite, to help expose the Mambila genocide to the world. The prevailing silence of Fulani and Muslim population to this carnage is shameful. It is more interested in exposing the “sins” committed by Ganduje’s daughter at her wedding than speak out on the ongoing killings of innocent civilians in Mambila. 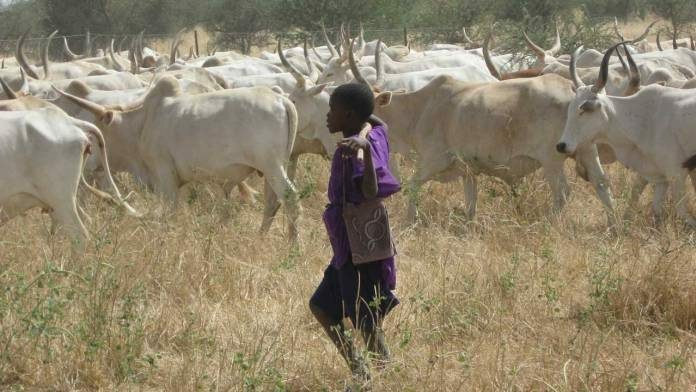 Others – including professors, top bureaucrats, politicians and businessmen, including those of Fulani extraction will prefer to lament in silence, afraid to be blacklisted as opponents of government. Tir. Fulatanci bai ce haka ba. Huloowo yimbe semti. Few have risen to the occasion, though. This morning, I received a seven part documentary on the killings in Mambila, which I share in the following links. It shows videos on the genocide, how it was planned, who was involved and how it is executed. May God bless the author. Those that have chosen to keep quiet can continue to remain silent forever. The President can continue to remain “upstairs” before he one day descends to our level. The Mambilas can continue with their killings. The victims can put their trust only in God. May he be with them.